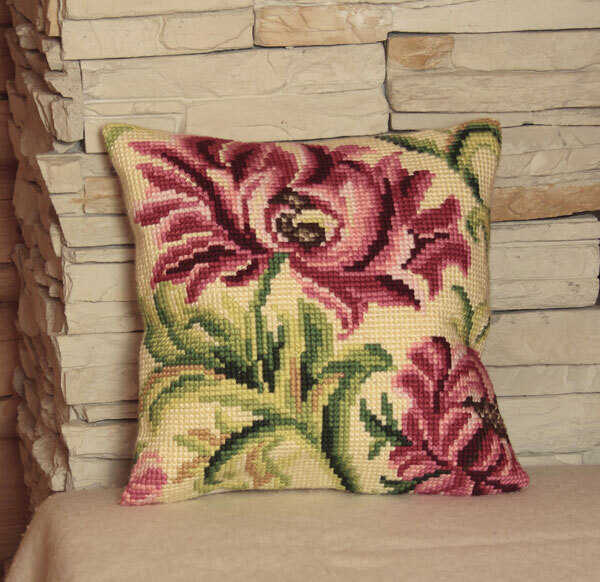 Easy to stitch large count cross stitch cushion kit 40cm X 40cm. Design colour printed on 5 count double thread canvas (100% cotton). Chunky acrylic yarn, gold eye needle and complete stitching instructions included.